Meeza, Qatar’s prominent end-to-end managed IT services and solutions provider, has launched its ‘Business Cloud’ platform to enhance its existing cloud service offerings as part of its business expansion strategy. The Business Cloud platform will enable clients to subscribe and provision a wide range of products and services including Microsoft Office 365, Azure Public cloud services, Domain registrations and Managed Services hosted within Meeza’s Qatar based Tier III Certified LEED Platinum Data Centre, said a statement from the company. The Meeza Expansion team is also delighted to announce that in partnership with CloudBlue and Microsoft, the Meeza Business Cloud is being used by Gulf Bridge International (GBI) as part of its Digital Transformation programme, it said. “In today’s changing world with cloud adoption increasing, our clients demand agile, scalable and flexible solutions,” El Rassi said. “The Meeza Business Cloud intends to offer our clients just the same, thereby ensuring they stay ahead of the market when it comes to technology adoption and digital transformation. We are also delighted to announce that Gulf Bridge International (GBI) have chosen The Business Cloud to migrate from a traditional on premise solution,” El Rassi added. “Organisations that take the plunge into digital transformation, soon discover the power to engage customers, empower employees, optimise operations and reinvent products, services and business models. Gulf Bridge International will benefit greatly from its migration to Meeza’s Business Cloud, gaining access to Microsoft’s trusted, secure and agile Azure platform, and the industry-leading productivity of solutions such as Office 365,” she said. “Cost-savings, innovation, optimisation and many other welcome milestones lie on the road ahead for GBI,” she added. 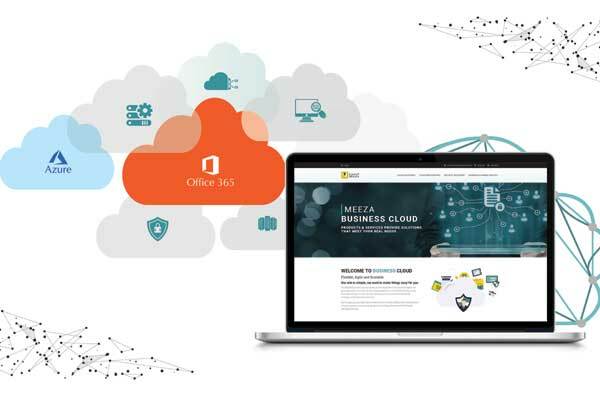 “We are delighted to start this exciting journey with Meeza for the Business Cloud solution. Our vision for this Transformation Program will ensure GBI remains agile, resilient and competitive,” he added. Our partnership between CloudBlue and Microsoft required close cooperation between the three companies to identify products, services and international market strategies with immediate focus being on the state of Qatar supporting local SMBs and Enterprises in their digital transformation journey.